Macy’s ended its relationship with the Emeril Lagasse brand, which is owned by Martha Stewart Living Omnimedia, on Tuesday, Alexandra Steigrad at Women’s Wear Daily reported. The cookware brand has been dropped from Macy’s 800 stores. The move came a day after Macy’s CEO Terry Lundgren testified in New York State Court during a trial over Macy’s claims that MSLO broke an exclusive deal with the retailer. 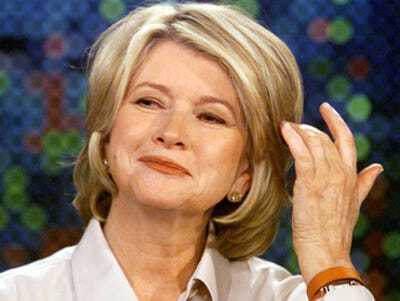 But it’s already evident that Macy’s executives were disgusted with Martha Stewart and her decision to sign with rival department store JCPenney. Lundgren said that he and Stewart were friends, but no longer have a relationship. Others execs said that they felt like they were stabbed in the back and were angry about how things went down. An MSLO lawyer dropped the news about Lagasse’s line while questioning Macy’s merchandising president Leonard Marcus, who said that he didn’t know about the deal’s termination. WWD overheard the Macy’s legal team say that they had “no idea” Macy’s had cut the Emeril brand and they couldn’t believe that it happened so soon after Lundgren had testified.